olive and ollie: Sew, Mama, Sew giveaway winner! Congratulations, Kim!! I'll email you to get your mailing address so I can ship your goodies out to you tomorrow! Thank you again to the ladies at Sew, Mama, Sew for organizing such a fun event! 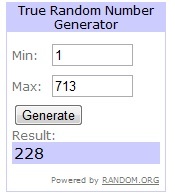 Thank you for a fab giveaway! and congratulations to Kim!